StaffPad Ltd. has released an update to its flagship StaffPad music handwriting app. Made available over last weekend, the latest update, version 2.4.13.0, adds useful features in several areas of the program, including move/copy/paste operations, printing, recognition, and symbol placement. Smaller tweaks, fixes, and UI enhancements are peppered throughout the program as well. , a $100 wheel device that connects to any Windows 10 device via Bluetooth. The revolutionary device resembles a hockey puck, and can be turned left or right and pressed down. When used with StaffPad on any Windows device, the Dial controls playback by default. You can jog through the score by turning the Dial left or right, and start/stop playback by pressing it. When writing in a bar, the Dial becomes an Undo/Redo tool. Turning it to the left (counter-clockwise) will undo the pen marks, and turning it to the right (clockwise) will redo pen strokes. The Dial can be pressed to trigger recognition. When working with selections, turning the wheel will transpose the music up or down in pitch. The Surface Dial gains additional features when used in concert with Microsoft’s new Surface Studio, a remarkable new entry into the world of desktop computing that brings pen-and-touchscreen technology to large-display consumer PCs for the first time. Placing the Dial on the screen of the Surface Studio will bring up an insert menu of commonly used symbols. The Dial is rotated to select a symbol, and then the user can quickly insert it with the pen. The Dial can be used as a digital music stamp by placing the Dial on the source music and then lifting it and placing it again on the destination area to impress the music. We have been fortunate to be able to work alongside the great team at Surface to ensure that StaffPad gets a platform upon which it can shine brightest. The culmination of StaffPad, Surface Studio and the Dial almost completes my original ‘composers dream’, and I’m excited that we’re able to take advantage of all of the power, features — and the sheer size — of this amazing computer. All in all, it’s one step closer to the ultimate goal of StaffPad: to make writing music feel effortless. As tempting as it may be, it’s unlikely most StaffPad users will be dropping $3,000 on a Surface Studio anytime soon. So let’s now focus on some of the app’s other improvements that will see more immediate use. Before doing so, it’s worth mentioning that this latest StaffPad update requires the Windows 10 Anniversary Update, first made available to users in August 2016. Upon exiting the bar, StaffPad will add the notes to the existing beamed group. 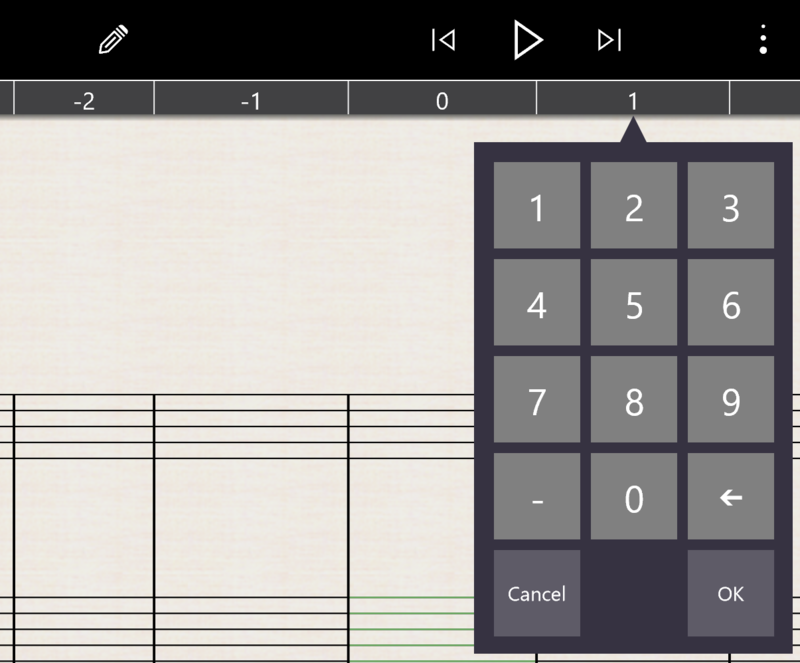 And, if you add notes to a tuplet, StaffPad will update the numeral automatically. Now, though, StaffPad will automatically change the tuplet numeral to reflect the new grouping. Choosing Create Tuplet from the contextual menu. StaffPad will apply the tuplet with the correct numeral. Lift the pen to complete the move. Similarly, you can copy a selection by holding the pen’s right-click button, and then tap and hold the pen anywhere in the selection. The selection will turn orange to indicate that it is being copied. Lift the pen to paste the music. The feature is a terrific addition and is reminiscent of the intuitive drag-and-drop method of copying music in Finale. 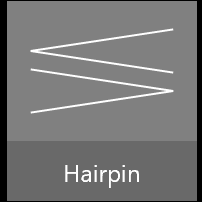 Hairpins (crescendo and diminuendo) are now consolidated into a single Hairpin tile, and take advantage of the StaffPad method of dragging the pen up or down to toggle its state. Before this update, crescendo and diminuendo lines each had their own symbol tile. As before, you can also draw hairpins and StaffPad will convert them to engraved hairpins. 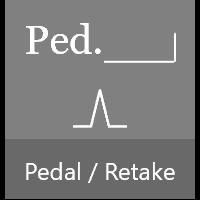 Likewise, pedal markings and corresponding retakes are consolidated into one Pedal / Retake tile. Once you’ve placed a pedal line in your score, you can place a retake anywhere between the two endpoints of the pedal line by simply ensuring that the Pedal / Retake symbol is selected and tapping where you want to place the retake. In addition, long-pressing on a pedal line in your score and choosing Switch Pedal Style from the contextual menu will change the pedal style from traditional to modern (or vice-versa). New in this update, however, is that this action will apply for all pedal markings in the score and not just the selected one. It is now possible to change the bar numbering of a score by long-pressing or right-clicking in the bar ruler so that Change Bar Number appears in the context menu. Enter the bar number change in the pop-up keypad. Note that this doesn’t create a new bar number region; rather, it will change all of the bar numbers in your score relatively to the new bar number — both before and after the bar in which you’ve applied the change — meaning that you may end up with both negative and positive bar numbers in your score! Print scaling: It’s now possible to select the percentage by which StaffPad should scale the music on the page, in preset percentages from 50% from 200%. If you select a percentage that is too large for StaffPad to comfortably fit the music on the page, it will scale the music by the largest allowable percentage, depending upon the paper size. Lyric size: In the Print dialog, you can chose from Small, Medium, or Large to adjust to size that lyrics appear in the score when printed. This won’t affect the size that lyrics display while working in StaffPad. Also new is the ability to double-tap the Back icon to navigate to the beginning of the score and double-tap the Forward icon to navigate to the end. Miscellaneous updates: Improved MusicXML export, better string playback, more balanced celesta and harp sounds, recognition tweaks, improvement to the sketch layer when printing, and translucent effects on the Welcome page round out this solid update. We’ll look forward to it indeed. Can anyone who uses StaffPad tell me how well chord entry works? I understand it’s done with text above the staff. With regards to the most recent StaffPad update, both you and the people at StaffPad would be doing us all a service if you mentioned VERSION NUMBERS in your posts. What is the version number of the latest (November 2016) update? I know _I_ have 2.4.110, but what, exactly, does that tell me? Is my version up to date? Six months old? The original version? Steve, the latest version is 2.4.13.0. I’ve updated the post. Cool!!! I just ordered my Surface Dial — I guess they ship in mid-December. I love StaffPad — and I’m impressed with the rate of advancement. I can’t wait to dig into these new features. Thanks for this really helpful overview! Just a quick comment on “recognition tweaks.” I have noticed really significant improvement in how well StaffPad recognizes my writing and anticipates what I intend. These recognition tweaks have come regularly at a fast pace with every update, and it’s one of the things I’ve appreciated about the program over the year-plus I’ve been using it. Considering the amount of functionality and complexity Staffpad now has, and now implementation of the Surface Dial and how it can interact with a touchscreen, there is no chance that Staffpad could come to iOS. Yes, I’m sure that’s true — StaffPad has been very focused on the Surface since its inception. When people see me working on my Surface Pro 3, they often say, “Oh, you have an iPad.” It’s a complement to the Surface, I guess, that people don’t realize that despite it’s tabletty appearance, it’s actually a fully functional computer and is running a desktop program, not a tablet app. There is now a bug in playback that causes the second and subsequent notes of the same pitch to be much softer (or even not be played at all) than the first note. While I like the new features, I would like to be able to go back to the previous version until this is fixed,. Is there any way to do that? I am still dreaming that one day we’ll have the change to use StaffPad on our iOS. Why ? You might asked. Because we already invested not only in financially but that’s has involved to many factors we were trying in the past, included uncountable our times and more in life.